Free Paper Shredding Event (and Benefit). 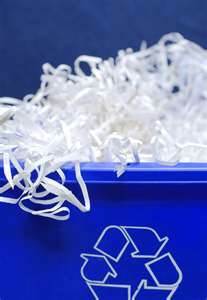 From 9am-noon Saturday, September 19, A.C.T Group Ltd. will host its 2nd Annual Free Shred Event benefiting Care for Real in front of its building, 6228 N. Broadway. Bring your documents to shred and a couple of bags of food items or cash to donate to Care for Real. Click here for more information. Ald. Tom Tunney will host his bi-annual Paper Shredding event on Saturday, October 3, 9am to noon, at the 44th Ward aldermanic office, located at 3223 N. Sheffield. Midway Movers will provide Document Shredding Service. Please remove heavy duty staples, paper/binder clips/metal fasteners from your documents prior to arriving at the recycling station. Limit two boxes/containers per household.